Ideal for fetes, fairs and festivals guaranteed crowd puller kids love the thrill. 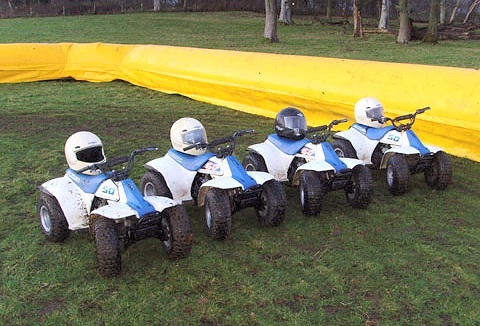 Provided with fully competent supervisors, quads are speed restricted for maximum rider safety with helmets worn at all times. For ages 6-12 years Track Size 100ft x 65ft.